Make Your Marketing Fun: Use Promo Products! The right promo products can instantly infuse excitement and fun into your marketing. When you hand out items that people can’t wait to get their hands on, you’re not only getting your name out there – you’re building a memorable brand. For some inspiration, take a look at what our client, Woods Rogers, is doing. 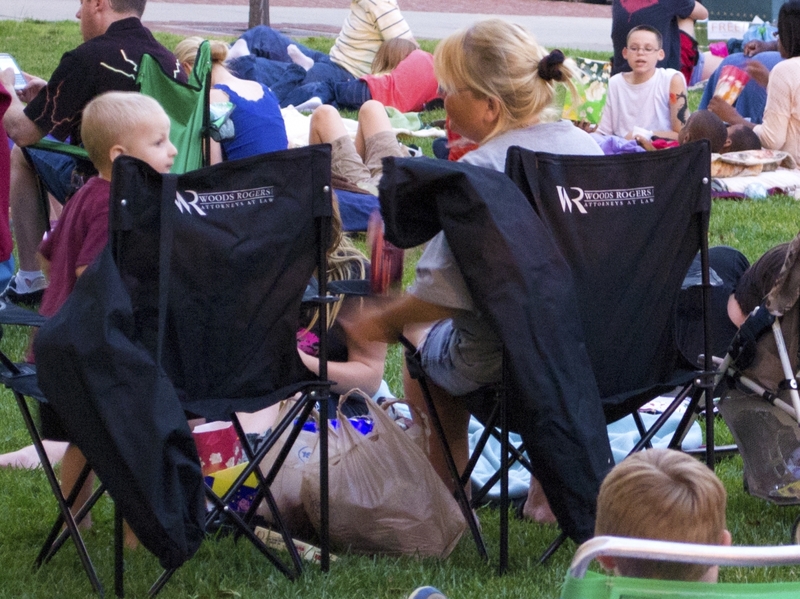 The Roanoke, Virginia-based full-service law firm partnered with Downtown Roanoke Inc. to sponsor its Movies at the Tower, a community event where locals gather to watch a movie under the stars on the second Friday of every month from May through October. As a sponsor, Woods Rogers can distribute promo products. 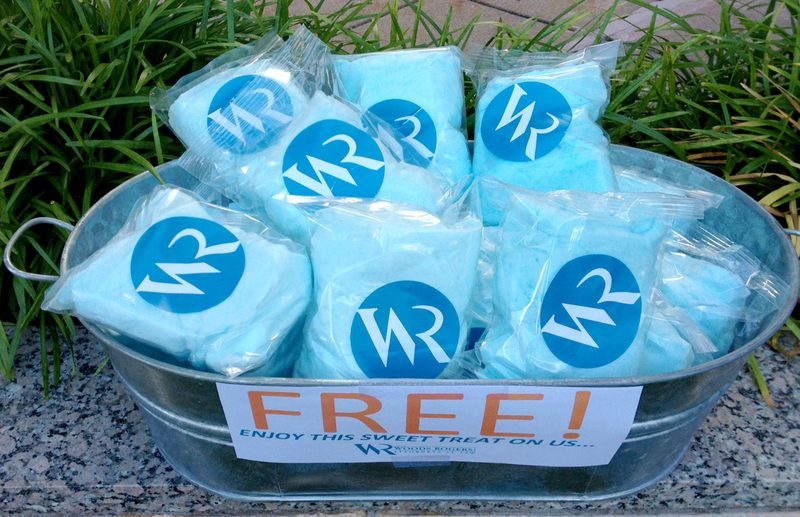 The firm reached out to ePromos for promotional folding chairs and packages of custom cotton candy. After all, what goes better with an outdoor movie than a comfy place to sit and a tasty snack? On movie nights, the chairs are set up and the cotton candy is placed in shiny silver buckets. The giveaways are first come, first served, so attendees know they must act fast to score their freebies. It’s always great marketing to reach people with something immediately useful where they are. That’s why the firm is also doing similar giveaways at baseball games and concert series throughout the summer. You don’t have to sponsor an event to build brand awareness in your community – just include fun, unique and interesting promo products in your marketing. Hand out seasonal promotional products to generate an immediate buzz. Look to items such as beach towels, sunscreen and beach balls for giveaways that are timely and fun. Our Brand Consultants are brimming with ideas, so give us a call!